cluckeyo’s tips for good health. It’s plenty easy to count the calories of a hamburger from your favorite restaurant. Just go to google and look up the nutrition menu for that restaurant. But my favorite hamburger is the one I make at home. They do have a lot of calories, so I have to work it into my day. This means I need to plan for it in advance. A big, juicy hamburger is the kind of thing I would want to enjoy for supper. So when I know I am going to have a big supper, I need to compensate for it during the rest of my day. Fruits and vegetables are good choices. I don’t even count the calories on pure fruits and vegetables. I do count starchy vegetables, however, such as beans and peas, potatoes, avocados. A banana for breakfast would be a good choice. A can of spinach would make a great lunch. I want to keep the calories as low as possible during the day, but I won’t have to eliminate them completely. 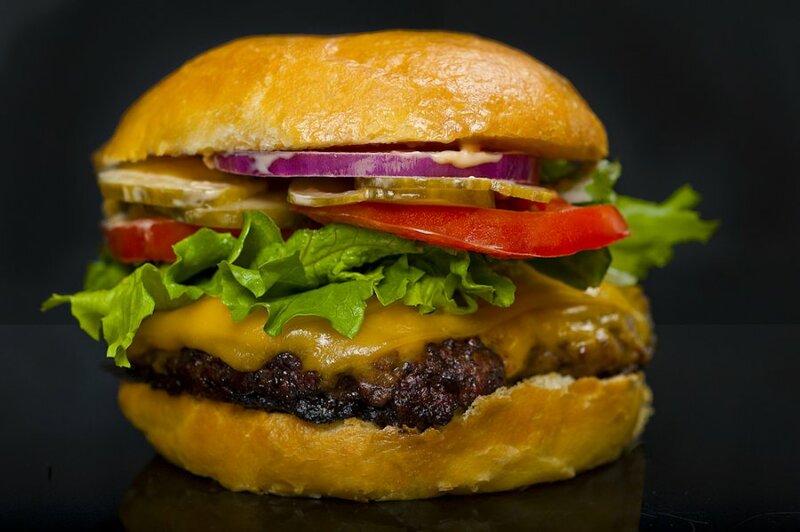 One big, juicy hamburger, the way I make it, is about 800 calories. I like to eat around 1500 per day. So maybe a cup of 1% milk would go good with that banana. I might have some whole grain crackers with my spinach. Not exciting, but fills me up and allows room for supper. When preparing the hamburger, I choose 85/15 ground meat, and I use 1/3# cutter. It’s nice and big, and this way I get a uniform size, so I get close to the same calories in the meat every time. I have a grill disk that I lay in the bottom of my skillet which keeps the meat up off the bottom of the pan and allows the fat to drain off. And I allow it to cook on 6, just until the juices run clear when pricked. The disk cooks a much better piece of meat than just letting it float in grease on the bottom of the pan. And it turns out big and juicy. My daughter has a nice grill pan, but since I don’t, I bought this disk and it works just as well as her pan does. The first time I made hamburgers, I weighed my cooked patty on my digital scale, took the total value of grams and researched it in google, to arrive at my total amount of calories. It’s not really necessary to do that again since I am using a uniform cutter, so long as I make the hamburgers the same way every time. Wal-Mart. I like to butter both sides with a total of 1 TBSP of butter, and toast it in the oven. I have to count that, and the meat and cheddar (1 oz). I don’t think it is necessary to count the veges. I just use lettuce, tomato, and onion. I choose mustard over mayo, and skip the fries. All this together comes up to about 800 calories. I don’t worry about figuring all this out until after I have enjoyed my meal, although I might have to jot down a couple of numbers. In the end I just need to put it in my book. Once it’s in the book, and if I use the same method each time, I will not have to figure it out again, I can just look at my book. It might use up the rest of my calories for the day, but if it does, rest assured I will be satisfied. Because there are not many things more delicious than a good ole’ homemade hamburger. while still finding a way to eat right. A lifestyle change does not mean that I have to give up the things I love to do, in order to better control my eating urges. It means I have to bust through the barriers of my bad habits and forge new possibilities and new, broader limits for myself. This week has been quite a challenge. My main focus has shifted to things other than calorie counting which has made it difficult in that area. I have been involved this week with a major clean-up job around the building. It looks great!! I’m so proud of all my hard work! And it will be so much easier to move around in here too! We have plunged full force into our financial stability plan. So I am budgeting the money and making sacrifices as needed. That’s kind of hard to get used to. I have embraced my new time management plan, also. The outlook calendar on my hard-drive is set it up to hold my schedule, and I have added some things to my day. It’s gone pretty well, but the last week I have been too busy. I want to to get back to it on Monday. I have been testing in the kitchen to find some good candy recipes for my little cottage kitchen business. There are still a few more to try. Once I settle on the ones I will offer, my attention will turn to packaging them. Then I need to look at cookie recipes. I have eaten a few pieces of candy and I will find out Sunday when I weigh in, what the damage is. 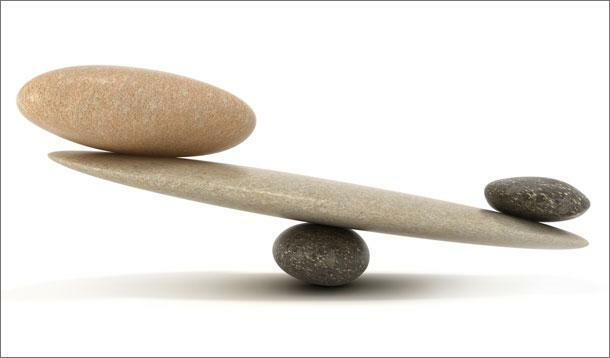 I have a real hard time balancing between various tasks and tend to be all or nothing about things. But I am fighting that bad habit, because I realize that trying to always do everything perfectly is unrealistic. It is actually counter-productive. Today I am going to be happy with what I do accomplish, It won’t be perfect! And if I gain weight this week, then I will try harder next week. It’s going to take time to learn how to eat right, come what may. Mom and Dad’s kitchen has been the source of my undoing for many years. I would be ok at home, or almost anywhere else, but go to their house and I get a major attack of the munchies. I guess it’s partly due to habit, and it’s partly a comfort thing too. For most people this might not be too much of a problem, but I go there 3 times a day! And during the noon visit, I fix them lunch, so I’m right there in the kitchen for a good length of time. Not making excuses, just stating the facts. It’s been a battle! Over and over, I tried just saying that I will not allow myself to eat at their house, but that does not work!! I tried saying “only healthy foods”, no. I tried saying “only during family gatherings”, no. Well I have finally come up with a simple solution that works perfectly! When I first started selling premium quality Norpro kitchen gadgets, I ordered a lot of items to try out and test, because I don’t want to sell anything that is not really good! One of the first items I bought was an electronic food scale. I used it to weigh my letters for postage for awhile, then I began counting calories and since then, I have really put it to work. I tried to order more, because I thought that would be a good item to offer for sale, but it was discontinued. They have another one now, totally different. Mine is larger, this one is about as flat as an iPad, but a bit smaller. So I bought one to test. I don’t need one here though because of the nice one I already have, so this one ended up down at Mom’s. And that’s the greatest thing that could have ever happened! Most items come with a nutrition label, so now, if I want to eat something down at Mom and Dad’s house, I have a way of knowing exactly what I am getting into. It’s normally really hard to figure out a serving of potato chips, but it is as easy as pie with a good digital food scale. Get out a small bowl, set it on the scale then turn it on. Even with the bowl on it, the scale sets to 0. Then just pour out an ounce (or 28 grams) of chips, and you’ve got it. Then, look on the nutrition label and get your count. Great for cereal too. It’s great for lots of things, I use the digital food scale daily. I even weigh my coffee creamer with it. Put the baby spinach, tomatoes, and onions in the individual serving salad bowl. (I don’t count the calories on basic vegetables such as these). Put the bowl on the scale and turn it on. The scale will set to 0. While the salad is right there on the scale, add the teriyaki chicken and quickly write down the weight that displays on the scale. Tare the scale. This sets it back to 0. With the same salad still on the scale, add the cheese. 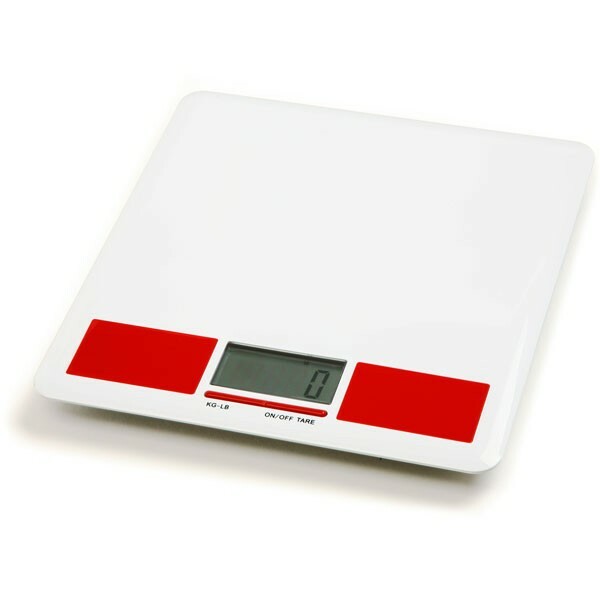 Write down the weight that displays on the scale, and again tare the scale. Same salad, now add the olives and write down the displayed weight. It all works real fast. And now, using only one bowl, I have my complete salad fixed up really pretty and fast, and my notes for how to count that salad. And I can get the package nutrition label or go to Google to figure out my calories. I measured the ranch dressing in a little bowl on the side. (Expert tip: My beautiful daughter, tells me that the best way to add dressing to your salad is to order it on the side and then just dip the tines of your fork in the dressing while eating your salad.) This works great!! It adds light flavor to your salad, and the salad dressing goes a long way,.. forget diet salad dressing, I just use the good stuff, now! Ever since I took that digital scale down to Mom and Dad’s house, I have had no problem dealing with their kitchen, it’s as simple as that. And I love the fact that I can still eat down there and I don’t have a thing to worry about. The new model is very easy to clean, which I like. I consider the digital food scale to be one of the most basic necessities there is for counting calories. It is also teaching me what a healthy serving looks like. So if I am caught away from home, and I eat something without being able to measure it, chances are I will have a good idea about the amount that I need to estimate. That’s calorie counting 101! 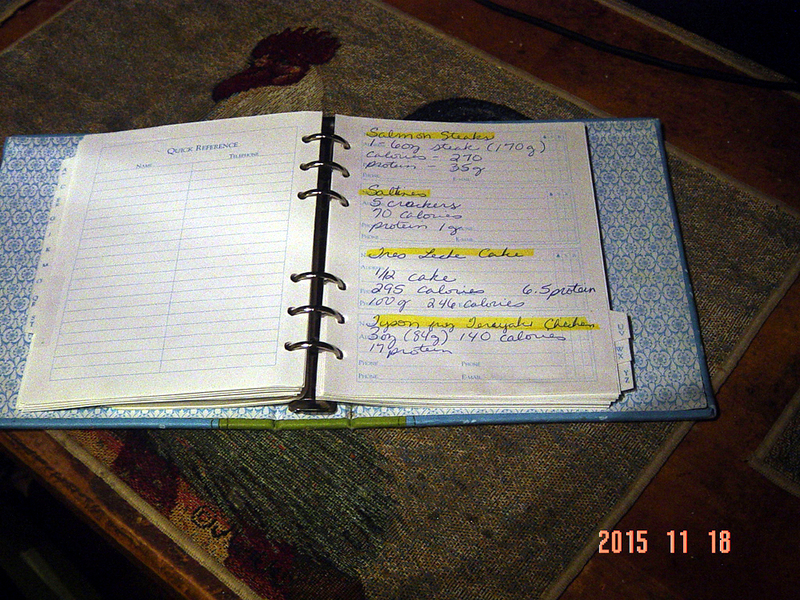 Posted on January 16, 2016 Categories Calorie CrusadersLeave a comment on Surviving Mom’s Kitchen!! 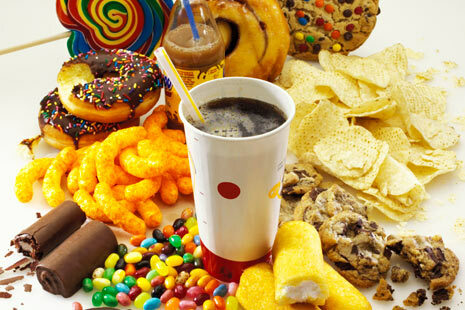 Many of today’s diets restrict the types of foods that you eat. But calorie counting is still alive and well as a way to lose weight or maintain a healthy weight. I prefer this method over any other because I want to have choices about what I eat. Choices encourage a permanent change. Weight loss aids help the dieter with the day to day struggle. One way to make the task go a little easier is to create an index book that will hold nutrition information on the foods you eat most often. I cleaned out some desk drawers recently and found an old address book, the kind you get at the Hallmark store. The notebook was gently used. It has 6 rings, and is filled with pages and dividers marked alphabetical. It has an attractive, sturdy cover, too. I almost sent it to Goodwill, because nowadays I keep all my contacts on computer. But it finally occurred to me that I could use this with my calorie counting. It’s a good idea to keep a book of calorie and nutrition information for regularly consumed foods, or perhaps for recipes, which are a little bit involved to figure sometimes. 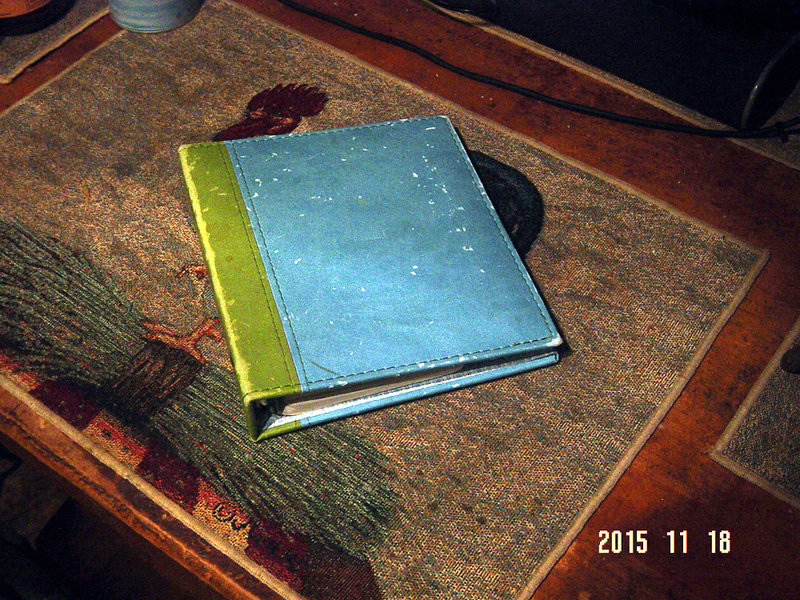 So I converted this address book into my index book. There were only a few pages that had been written on, so I tossed those out. Several of the dividers were written on also, so I used white labels to cover all the old handwriting. I ended up with a very nice book to put my information in. I like writing down the calorie, fiber, protein, and calcium content for regularly consumed foods because I don’t want to have to look them up in the pantry every time I want to eat something. I write my information down in large letters, so that I don’t need my glasses to read it. And once I get a recipe figured out, I definately don’t want to have to do that again. So I write the information down right away. 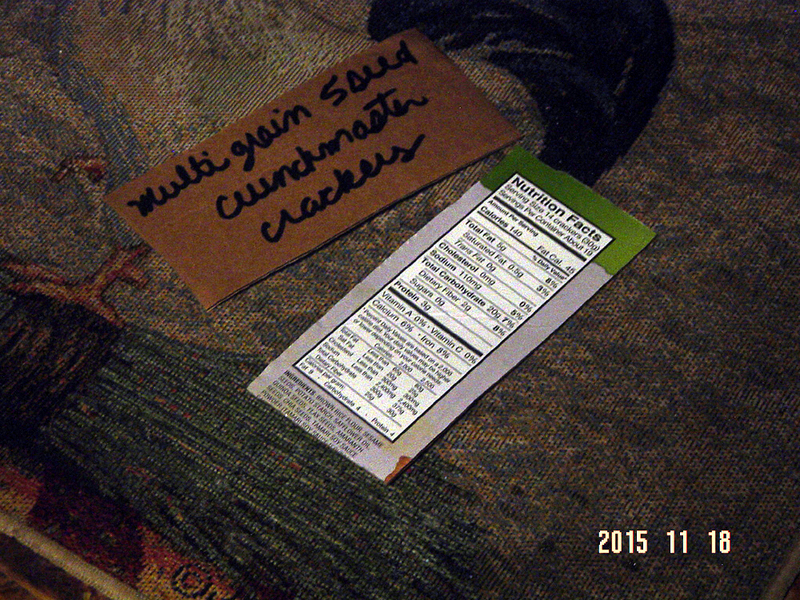 Clip and save nutrition labels until you get a chance to enter them. Basically, it’s a time saver. The most important part about making it work for me, has been taking the time to fill it out. If I empty a cereal box or something, then I cut the nutrition information out of the box and lay it on the table, marking what it is for, on the back side, before I toss out the box. When I get 4 or 5 nutrition labels collected, I just sit down with my glasses on, for a few minutes and enter the information into my blue book. The nice part is, that when I need to know some nutrition information, then I can just pick up my book and look it up. The alphabetical dividers make it easy to find things when I need to. This is just another way to minimize the fuss of calorie counting. It really does save a lot of bother. The last week of December has been great fun! Our family Christmas gathering on Saturday was so nice! I saw cousins, nieces and nephews, my son-in-law, and I especially enjoyed spending some time with my precious daughter. Glenn and I spent Sunday afternoon remembering 2015, a good idea for a year-end tradition! After that, everything has been forward-looking. I put a lot of thought into how I hope next year will unfold, and how I might help my goals succeed. 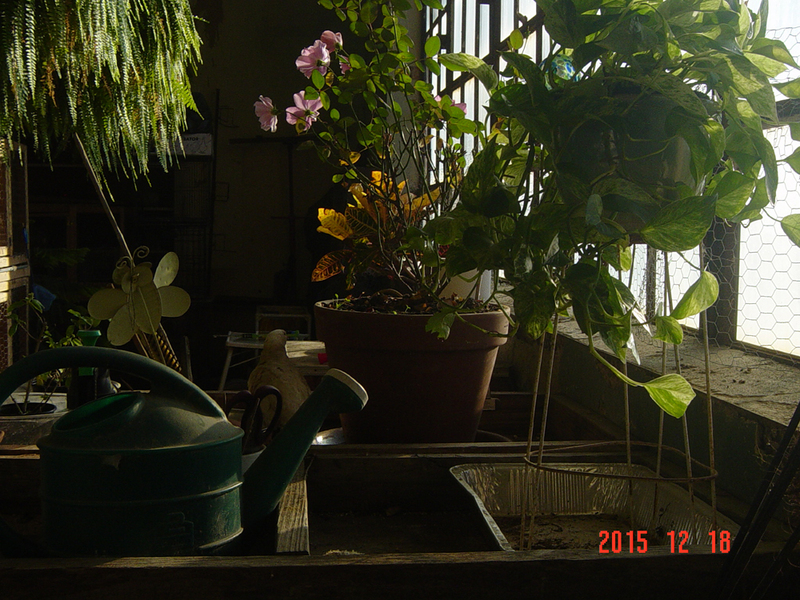 Then I got busy tying up the loose ends of 2015, so that the new year could arrive on a clean plate. There were just a few things we needed, to clear the way for 2016. I’d rather not be sitting there when the ball drops, holding my old tired list of things that still need doing. So we just got busy and cranked out some work. Glenn and I got the flu shots that we forgot in October. He tackled a big computer repair job and fixed everything good as new! I got the house cleaned back up after the holiday; handled important phone calls, mail, filing, online account maintenance, changed out filters, batteries and hard-to-reach light bulbs; laundry; an impromptu doctor’s appointment; cleaned the coffee pot. I would have put away the Christmas decorations, but Glenn is still enjoying them 🙂 Now we are as ready as we can be! It required a lot of reflection and consideration, but I narrowed it down to just a few things that I consider to be the most important goals for the new year. These are the things that I will get busy working on. Weight Loss – I got a late start on this in 2015, but I am glad I did it. Because I lost almost 20#, which is that much I will not have to lose this year. I worked out some kinks and developed my rhythm for this task, as well. I’ll keep on calorie counting because it is working for me, and I will add a fitness work-out in the very near future. Financial Stability – I have been dependent on credit cards way too many times in my life. They are an alluring crutch. I have managed to get myself out of debt numerous times, only to repeat the cycle over and over. We put the cards away, and will do this one more time by postponing every expense that we can possibly live without. Upon reaching our goal, we will open an account to cover unexpected expenses. By the end of this year, everything will be arranged so that we no longer need credit cards. Time Management – According to my Dad, repetition is necessary to train the mind. I can use that. I have a real problem with my unruly mind sometimes! I avoid things that are important; things that I desire to be good habits in my life. It’s like sometimes I can only be content to work against myself 🙁 So I am attempting to get on a schedule. There are things I will do each morning, at mid-day, and in the evening. I’ll do certain things on certain days of the week. I think someone might have to dangle some kind of carrot in my face. Some days, this will be very difficult! But if I succeed, it will be such a positive change, full of important rewards. 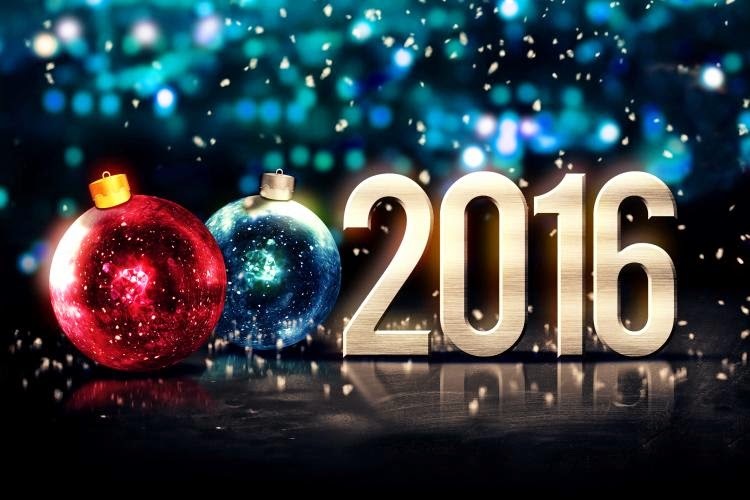 Not many things can compare to the faith and hope generated with ushering in a sparkling, fresh new year! These are my 3 big goals for 2016. And each of them can be broken into smaller goals. So there are a lot of great things here, to be accomplished. When it comes to new years resolutions, I generally, always make progress. For that reason, I feel confident that at least some of these goals will make it to my reality over the course of this year. And once they get there, I will own them 🙂 How exciting! I can’t wait to get started! 🙂 HAPPY NEW YEAR, EVERYBODY!! Foghorn Leghorn in the in the hen house. I ate a cinnamon roll yesterday. It was 450 calories and I counted it. In the end, I actually wound up having a perfect calorie counting day! Enough of that subject! I would rather talk about this great holiday season. Though I began this month feeling kind of like Scrooge, December has turned out to be a great month for getting things done. Some of my kids will be here for Christmas, so I want the place to sparkle! 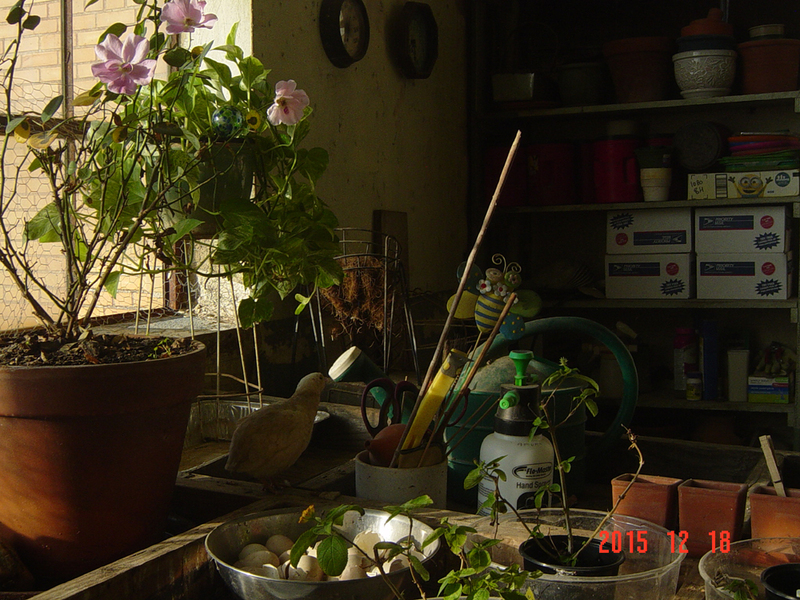 After all, why decorate the house if the house is a mess? It got a good cleaning. Yesterday and today we have been cleaning up outside. This evening we were ready to decorate the porch. It looks and sounds very festive 🙂 , with pretty lights and country Christmas tunes piped through the outdoor speakers. I’m sporting a spiffy new hair-do, which I love, thanks to my very talented niece. 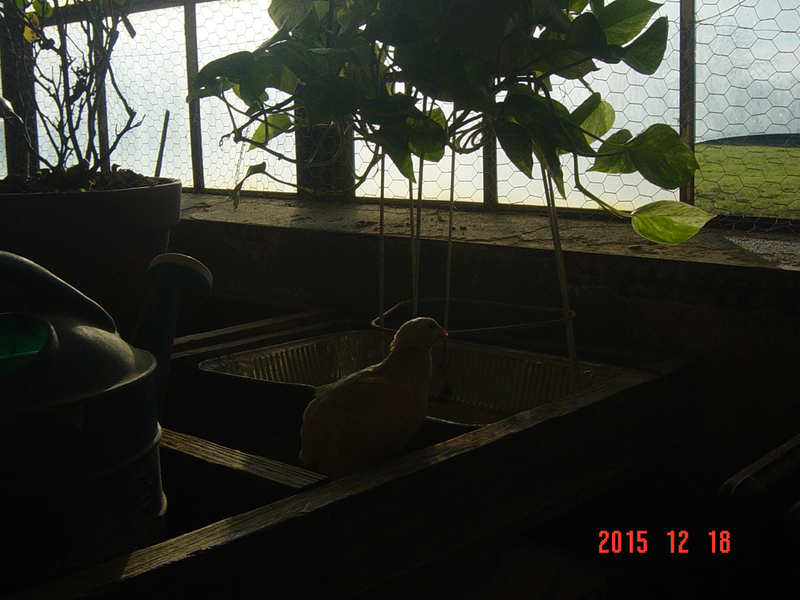 But my favorite project so far this season, has been the quail room, which our plumber dubbed, “the hen house”. It was quite the mess, and took about a week to get into shape, but it has really turned out nice. About a year ago, Glenn hung 5 big Boston ferns from the 11 foot ceiling, along the 20 foot expanse of south exposure windows. They let in a lot of light. So the ferns have done well, as have all the other plants. The roses, hibiscus, and lantana are blooming. Our new little hens have been moved from brooder to cages and are just starting to lay their first eggs. All but a couple of roosters are in a separate pen. The tornado from this past spring left some damage, and now, all the broken windows have been replaced. New plumbing pipes were run to the room so it is super easy to water the plants as well as fill the buckets for the brand new watering system. Now the new little hens and roosters drink from a small, no mess cup, rather than the filthy jars they once used. A rat got in earlier this year, tore open some bags of mushroom compost and left some droppings. That’s all cleaned up now. As for the potting station, the soil amendments (including our first load of compost made with our new compost tumbler) are in nice, galvanized cans. And I’ve implemented a new system for cleaning cages that cuts way down on the mess and keeps life simple. The retirees have a special deal. After my quail are one year old, I start a new hatch, and the old ones become members of the elite group who are allowed to live out the rest of their days cage-free, out in the room. I spread Aspen shred everywhere, and brought in piles of fresh cut winter grass for nesting. There is a plastic swimming pool full of sand and logs, for them to clean themselves. They have the water run-off in the plant saucers to drink. They eat very little feed in an arrangement like this, so they are not a drain, economically. The life expectancy of a quail is about 2 years and their egg production drops off drastically after about a year. The meat of an older bird is a bit tough, so I can’t see the point of butchering them. And since I have the luxury of this room, it just makes sense to do it this way. It’s really a pleasure to spend time here now. There are still more improvements to come but we got a lot of really good stuff done for the quail, this year. Now that we are at a stopping place, we can move onto the next project. And we will be busy right up until everyone gets here. The honey room needs cleaning. There are tons of boxes to break down and shred in the hallway. Once that’s done we can start a new load in the compost tumbler. I’m making the dressing, gravy, and carrots for the big family gathering. And if there is any time left, I want to stock up my cottage kitchen. Now that the kids are grown and gone, with full lives of their own, Christmas is quite different than it used to be; different, but still really, really good! It’s been a joy getting things looking good and functioning around here, in preparation for our anxiously awaited guests. One last chance to make the most of a good year; the best holiday season I can recall in a long time. Fiber – I get 25 grams of fiber each day, without fail. It promotes a healthy heart and is healthy for the colon. 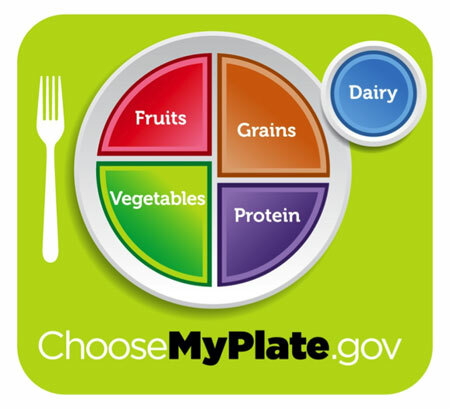 Fruits, vegetables, beans, and whole grains are good sources. Protein – It’s not hard for me to get in my daily allowance of protein. I usually go over. It is important for healing and I need 46 grams per day to maintain normal body function. It is found in meats, fish, beans, eggs, dairy, as well as most vegetables. I use protein to combat the occasional hunger pang, too! Fat – I have a current health issue which requires me to pay attention to my fat intake. I eat no more than 45 grams of fat per day, as suggested by my doctor. I eat as little saturated fat as possible. I switched to 1% milk. Most of the fat I get comes from that which occurs in the foods I am already eating. For example, I choose the fat content present in a serving of my favorite whole grain crackers over adding butter and sour cream to my potato, most of the time. Calcium – I take a multi-vitamin in the morning, which has 50% of my daily requirement. But I get the rest of my calcium from the foods I eat. I do keep a bottle of low dose calcium supplements on hand and if I fall short at the end of the day, I take one before bed. This rarely happens though. When I was drinking whole milk, I wasn’t allowing myself to have that very often. But a cup of 1% milk has only 110 calories and 30% of my daily requirement. Calcium is also found in vegetables and breads, etc. At my age, I consider myself to be kind of fragile, especially in my current condition of unfitness. The fifties seems to be when people start having more health problems. I do want to lose weight, but I want to be very careful and prevent dangerous imbalances which might occur. I don’t believe I have the luxury to just jump into the latest fad diet. I want to be very, very careful! So I try to cover the nutritional bases as much as I can. Flexibilty is a hallmark of calorie counting. It’s been almost 2 weeks since I lost focus. The whole process of getting back to calorie counting has proved harder than I anticipated. I began in serious earnest the day after Thanksgiving. Writing this over the last few days held my attention until I felt relatively certain that I was out of the woods. Last week’s newsletter focused on my recent difficulties. I posted it on Facebook, and received a lot of wonderful support, which motivated me for the morning. I wanted to start off on a positive note. So I got all clean and sparkly and made out a plan for my day, not something I always do! I didn’t want to be crazy busy, I just wanted the day to flow nicely. And it did go well, but the following day was a struggle. I have been pretty negligent when it comes to taking care of my personal needs. I put off going to the doctor, stay up half the night, skip baths, etc; a bad behavior which supplies it’s own built in punishment. I am resolving to improve this area of my life. Regularly attending to my daily needs, whatever they may be, will reinforce my ability to keep counting calories. The two ideas have a synergetic relationship, so this needs to be a high priority of each day. It may be obvious to most, but often escapes me; the final vestiges of my old depression years. The desire to live at a normal weight, is nothing more than a desire to take better care of oneself. It stands to reason that expanding on the idea will support the mission. Flexibility is a hallmark of calorie counting and that energy should be tapped as needed. My narrow-minded attitude is not working lately. I am adding a range to my daily calorie allowance. Instead of a rigid 1500 calories per day; my requirement to maintain a weight of 120, which has worked well for losing weight up to now, I will allow myself to increase my intake up to a maintenance level as needed. The holidays are here, I have many, many irons in the fire, and I just can’t hold onto that narrow focus. My goal is to avoid gaining weight throughout the holidays, and this may allow me to lose some too. I figured out the amount of calories I can increase to, by tinkering around with this healthy weight calculator . This plan will allow another 700 calories per day; the most flexibility I can afford. I may not need them everyday, but they will be available. Which will make all the difference! I’m unwilling to miss the holidays in order to lose a few more pounds this season. My passion is in living a rich, full life, and delicious holiday food is part of that. This is a lifestyle change, and I will always need to do what is necessary to succeed through the holidays, or any situation. Which will call for some flexibility. Yes, there is some re-training required on my part, but not to the point of being unrealistic. Learning how to maintain during the holidays will be a very valuable skill to acquire. And when life returns to normal, so will my ability to focus on losing weight. This is something I can live with. They are ok in moderation, but you gotta count ’em!! Managing the tasks of life is sometimes a very difficult thing for me to do. I am just coming off of a 10 day break in my calorie counting program. I didn’t plan to take a break. It just happened. It all began when things got really hectic and my workload kind of doubled on me. It was all positive. These changes are about things that I want to do. Still, I have not fully adapted to the new schedule. As a matter of fact, I haven’t put a lot of thought into scheduling, period. Upon analyzing the situation, I find this fact to be at the root of my difficulties. I was pulling all-nighters and being led by my emotions and ambitions during all this time. In other words, just kind of doing whatever I felt like doing at any given moment, with no real self-control. I started estimating instead of counting at about that time. A time-saver, I thought. I was probably eating less calories than allowed, and I figured I would only do it for a few days. So was not really worried about it. When weigh-in day came around, the scale actually showed a loss of 3#. That just served to provide me with a false sense of security. Gradually, I began eating more calories, but still not too many, I don’t think. My stress level was pretty high, and the last 3 nights, I did really bad, getting into sugary sodas, big cinnamon rolls, ice cream, candy, summer sausage,… All without counting. I made a note, 3 days ago, that it was time to sit down and think about what I am doing here. It still took these three days to get completely off my high horse and face the facts. I tried to get things under control yesterday. I did count calories, but I still went over by about 500. Progress… Tonight, it looks like I am going to make it. But, I’m still on unsteady ground. Tomorrow is weigh-in day and I expect it to be pretty bad (5 3/4# gain). But I know it won’t take that long to make a full rebound. I actually like calorie counting. It is comforting and makes me feel good about how I am eating and taking care of myself. So, I don’t think it will be too hard to get back in the swing of things. I need to put some thought into how to go about blending my new responsibilities with the old ones. Once I have that figured out, then I will have some boundaries to enforce. This is just a part of being my own good parent. When I let the child have her way, she always gets me in trouble. But when I apply some self-discipline, this is an act of kindness that I do unto myself. And it leaves me feeling safe and capable. Once I have that feeling, then I can settle down and live my life confidently. I guess I will never ever stop having to do this. But the point is, there are places I want to go. And it is the adult in me that knows how to get there. Allow time to analyze your situation. Last week there were 2 evenings that I went over my limit by about 500 calories or so. It happened 2 nights in a row and after the second time I began to realize that I was not going to be losing weight anymore if I continued to do this. It was late, and I was tired. So, on my to do list for the next day, I wrote down “spend some time thinking about these last two evenings”. I wrote it down, I would not forget. This is a really good practice to follow. And it helped me sleep better that night. The next day I set aside a good amount of time to just think the whole thing over. I have come to understand that there is an analytical element to calorie counting. So I began; Why was I doing this? Was I bored, no. Was I anxious or angry, no. Was I stressed, not really. Was I hungry, yes. Why was I hungry? Because I was staying up really late, both nights, and I had simply run out of fuel. So how can I prevent this from happening again? Go to bed earlier. Or save some calories for late in the night. Either would work! It’s really good to think things through. Be the boss over your unruly child. Take charge of your calorie counting situation, with confidence and determination. That little exercise pretty much nipped the whole problem in the bud. And to my delight, this morning for my weekly weigh-in, I had lost 1 – 1/4#. This is the stuff that makes calorie counting doable for a lifetime. I have chosen calorie counting, as my way of controlling how much I eat. If I’m not eating with some kind of control, then I am eating out of control. And I really don’t want to do that anymore.